Ticket Alternative client, Green Savoree Racing Promotions (GSRP), is hosting the Honda Indy Toronto this weekend (July 14-16) in Ontario, Canada. 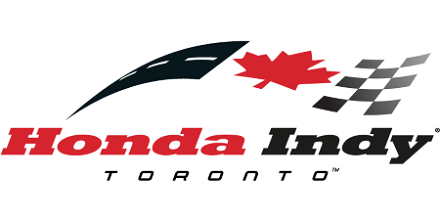 Honda Indy Toronto is Ontario’s largest annual sporting event and takes place on the streets surrounding Exhibition Place near Lake Ontario and downtown Toronto. In addition to world-class racing, including the Verizon IndyCar Series as its marquee race, the event features a festival-like atmosphere. Ticket Alternative’s versatile ticketing platform provides GSRP and Honda Indy greater customization of the event experience for racing fans including custom packages, the ability to pick their own seats via interactive venue maps, and the ability for online ticket renewals. Our eCommerce sites empower GSRP to manage its individual brands while gaining unprecedented access to customer data, enabling them to report seamlessly and consistently from a SINGLE database. In addition to leveraging Ticket Alternative’s ticketing technology, GSRP also benefits from Ticket Alternative’s call center services and the support of our highly-trained Customer Support staff. Ticketing a Grand Prix or other sporting event? Looking for a Customer Support team or Call Center provider who knows ticketing and can increase the quality of your customer service? Ticket Alternative can help. Fill out the following form and we will be in touch.